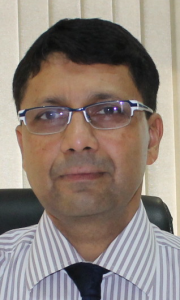 Hariharan Gautam is the CEO of Grintex Technologies Inc. Canada (a subsidiary of Grintex India Ltd). He has been instrumental in introducing cutting edge technologies to India in the domain of Jelly filled & Optic Fibre telecommunications, Geo Augmented GPS aided navigation system for a satellite based navigation system, Radar and the state of the art Air Traffic Control systems for Aviation, strategic defense technologies etc . Is directing the design team for India’s Polar Antarctic Research Ice breaker ship project and strategic naval special mission ships. Has more than 25 years of experience in handling international business . Currently engaged with leading Fortune 100 companies such as Airbus, Boeing, Raytheon, SAAB, Thales etc.on high technology programs . Has successfully setup and managed Joint Ventures with large international corporations. Currently engaged on strategic R&D initiatives in the domain of Space and Defense with leading Canadian Universities. Gautam is widely travelled and has lived in Europe, North America, Middle East and Asia.